The development comes after a series of damning reports over the years which expose the chronic personnel shortages faced by Britain’s armed forces across the spectrum, including in the army, as well as the naval and air forces. Foreign nationals who live abroad will soon be able to join the British armed forces, the UK government is set to announce on Monday, according to the Daily Telegraph. 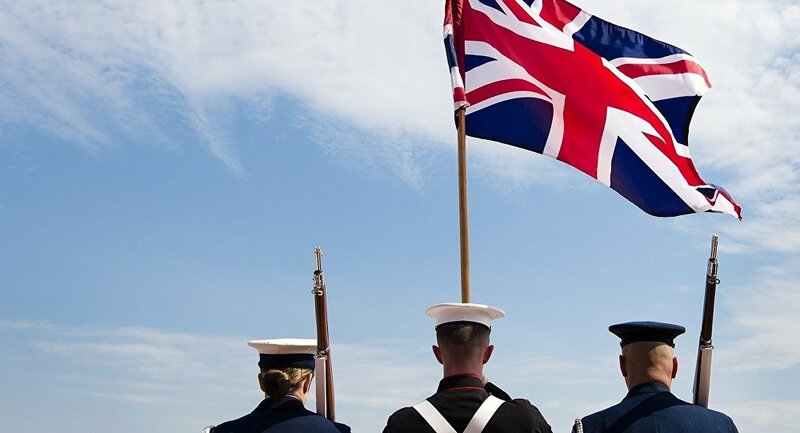 The UK Ministry of Defence (MoD) is reportedly set to scrap the requirement that Commonwealth citizens need to have lived in the UK for five years before applying for the armed services. According to reports in the British media, the UK military is hoping that the new initiative will supply an extra 1,350 recruits from overseas every year to fill the rank and file of the Army, Royal Air Force and Navy. "Recruitment crisis" Have a nation that's seen as worth defending to the populace and just maybe you'll attract the kind of individuals who are passionate enough to defend it. Importing foreigners with no personal stake in your nation's existence is not how you do that. The almost unparalleled news comes amid a litany of reports which say that the UK's armed forces are finding it very difficult to recruit enough service personnel to fill vacant positions. In April 2018, alarm bells rang throughout the British establishment following the release of a report by the National Audit Office, which found that the military was short of 8,200 full-time personnel. Shortages were found to exist in major positions that are necessary for sustaining viable defensive power, such as weapons technicians and air force pilots. The report's authors said that the personnel shortage constituted "the largest gap in a decade." However, the new initiative will allow applicants who have never lived in the UK to apply for all roles in the forces from across the Commonwealth countries, including people from India, Canada, Australia and Fiji. According to The Telegraph, the Royal Navy and Royal Air Force will begin the process of taking on Commonwealth recruits almost immediately, while the army is slated to start from early next year. Yes because Britain is multicultural meaning, religious indoctrination high numbers of ethnic youth won’t fight white middle class kids won’t fight, welcome to multicultural Britain 21st century. While there are special exemptions for applicants from the Republic of Ireland and the Nepalese Gurkhas, people from outside the Commonwealth countries will still need British citizenship to apply for the armed forces. The plan is but the latest in a series of efforts to bolster the number of people applying to serve in the British military. In January 2018, the army launched a campaign that attempted to encourage diversity in the forces, calling on people of different religious beliefs and sexualities to join. Yet, it didn't go down so well with the military's top brass, some of whom said that by focusing on 'diversity,' the campaign failed to speak to those people most interested in joining the forces. I don't think it's a good idea, in general, to recruit mercenaries to our armed forces. If we can't recruit enough Brits, we need to make it more attractive. Pay, pensions, welfare etc. Colonel Richard Kemp, former commander of British forces in Afghanistan said at the time that the campaign, "reflects the fact that the army, like the rest of government, is being forced down a route of political correctness." "What is most important is that the army recruits and is full of soldiers. It's of secondary importance that they reflect the composition of society," he added.